Chinese Sweet and Sour Vegetables	No ratings yet. Vietnamese fried Noodles with Vegetables	No ratings yet. 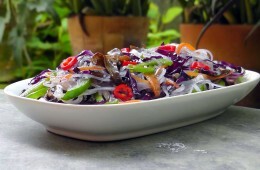 A very simple Vietnamese Noodle Recipe with red cabbage, Bell Pepper and Carrots. 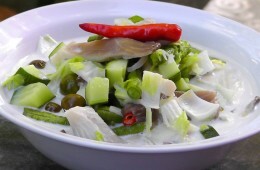 The Rice Noodles and Vegetables are both stir-fried in Garlic Oil and then combined. Chinese Mixed Vegetable in Szechuan Sauce	No ratings yet. Indonesian Acar Kuning	No ratings yet. 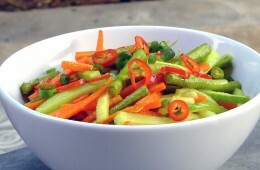 Acar Kuning are pickled Vegetables from Indonesia and are so quick and easy to make. 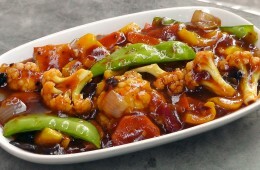 Mixed Vegetables are simmered in a sweet and sour Sauce. 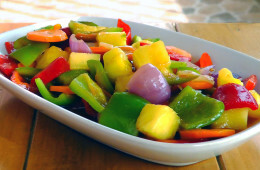 Its a perfect and healthy side dish. Indonesian Gado Gado	No ratings yet. Gad Gado is a very healthy Snack. 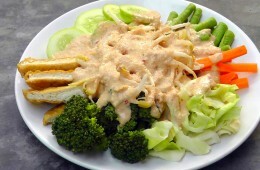 Steamed Vegetables are served with a delicious sweet and spicy Peanut Sauce. 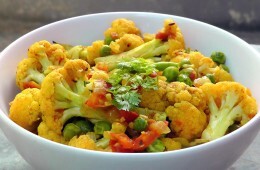 Indian Gobi Matar	No ratings yet. 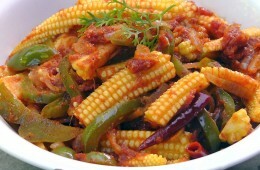 Baby Corns and Bell Pepper in a spicy tomato sauce. Its a very easy and tasty Jalfrezi.